CELEBRATE HIGH-QUALITY PHOTOGRAPHY WITH CANON! Win a chance to take photos for one song at one of the artists set during the I LOVE ANISONG concert. PARTICIPATING ARTISTS TO BE ANNOUNCED! The I Love Anisong in AFASG16 will be the arena for budding photographers to try out their Concert Photography skills, with 2 exciting artistes participating in this ongoing phenomenon. Registered photographers would also be able to loan various Canon cameras and Lenses available at the Canon counter on the 3rd floor. Cosplay Photo Party, register and submit the best cosplay photos taken during AFASG16 and stand to win merchandise from our Cosplay Guests! At AFASG16, Cosplay Photographers can also take part by registering and submitting their best photos for a chance to win autographed merchandise from AFASG16’s Cosplay Guest. Registered photographers would also be able to loan various Canon Lenses available at the Canon counter at the 3rd floor. YOU HAVE TAKEN THE PHOTO? JOIN THE PHOTO CONTEST! Here is your chance to participate in an Anisong Concert and take photos at the same time! The Canon Photo Pass will authorise you to shoot freely for the duration of ONE SELECTED SONG only for the participating artistes. Best of all, they will be the one inviting you to take a photo! The artiste will announce that you can take photos before the song is performed. You will be required to shoot only from a digital camera. Smartphones/MobilePhone cameras will not qualify as we want the images of the artist captured to be of the highest quality. Only limited PHOTO PASSES are available. Canon cameras will be given priority in the selection of winners for Photo Passes. NO usage of FLASH, light modifiers or anything that might disrupt the concert performances. Participants are to give due respect to the artiste performing and not use their likeness for commercial purpose and/or with ill intent. Participants are to purchase/obtain their own tickets/access to the concert/event. RULES FOR CANON PHOTO PARTY – COSPLAY Photo PARTY! Submit your best photographer of Cosplay taken during Anime Festival Asia Singapore 2016 at the venue and stand to win autographed merchandise from AFASG16 Guest Cosplayers! Pre-registered photo pass holders will stand to win extra prizes. Participants are to give due respect to the Cosplayers and not use their likeness without permission for commercial purpose and/or with ill intent. Participants are to purchase/obtain their own tickets/access to the event. EVER WANTED TO TRY A CANON CAMERA? A selection of the latest Canon camera models will also be available for loan (FREE TRIAL) on the concert day at the Canon Counter. Picture Identification or passport has to be produced and will be photocopied for security purposes. You will also be required to provide your contact details. All borrowed equipment must be returned to the Canon Counter no later than 30 minutes after the end of the concert. Choice of cameras will be on first-come first-served basis. Any cost for damages done to the camera will be borne by the participant. 1) Participants will need to have a VIP ticket to the Anime Festival Asia Singapore 2016, I Love Anisong Concert for the selected artiste. 3) Participant is not to use the photos taken at the event commercially or/and in ill faith. 4) The organisers and artist management reserves the right to ask the participant to take down, delete or remove the image taken during the concert for whatever reasons. 5) Smart Phones cameras, mobile phones cameras are not allowed to participate in this exercise. 6) Canon cameras will have priority for the limited slots available in this activity. 7) All entries must be received before 23:59 hours on 24th November 2016 (GMT +08:00). 8) Submission must be completed by the closing date. Failure to do so may result in disqualification. 9) SOZO reserves the right to disqualify all entries that do not meet the rules and regulations. These include entries submitted with invalid or incorrect information. 10) Representatives of SOZO will pick the winner from eligible entries. No correspondence will be entertained about SOZO’s decision. 11) SOZO reserves the right to add, vary, delete or add on any terms and conditions at its sole discretion without prior notice. 12) SOZO reserves the right to withdraw, discontinue or terminate the event at any time at its absolute discretion, without notice or liability to any person. 13) In the case of dispute, SOZO’s decision is final. After the event, there would be a photo contest happening to showcase and honour the photographers and their photos. Each photo should be in High resolution, atleast 3mb in file size, with 360DPI. Shortlisted participant’s artworks are showcased in the future at the Canon Photo Party display area. The Winner will be selected by the participating Artist and selected judges. 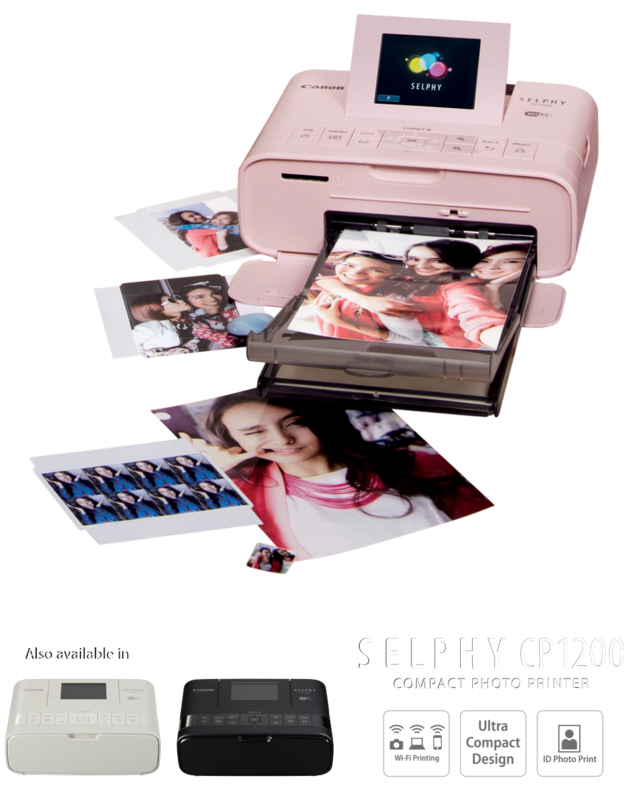 The winner of each theme will also walk away with a brand new Canon SELFPHY Printer. 1) All entries must be received before 23:59 hours on 16th December 2016 (GMT +08:00). 2) Submission must be completed by the closing date. Failure to do so may result in disqualification. 3) SOZO reserves the right to disqualify all entries that do not meet the rules and regulations of the audition. These include entries submitted with invalid or incorrect information. 4) Representatives of SOZO will pick the winner from eligible entries. No correspondence will be entertained about SOZO’s decision. 5) SOZO reserves the right to add, vary, delete or add on any terms and conditions at its sole discretion without prior notice. 6) SOZO reserves the right to withdraw, discontinue or terminate the contest at any time at its absolute discretion, without notice or liability to any person. 7) In the case of dispute, SOZO’s decision is final. 8) SOZO may use participant’s information and data collected during the event for marketing or promotional purposes. 9) Prohibited, Questionable and Infringing Items and Activities You are solely responsible for your conduct and activities on and regarding to SOZO and any and all data, text, information, usernames, graphics, images, photographs, profiles, audio, video, items, and links (together, “Content”) that you submit, post, and display on SOZO. 10) Content License: SOZO/Canon does not claim ownership rights to your Content. You grant SOZO/Canon a license solely to enable SOZO/Canon to use any information or Content you supply SOZO/Canon with, so that SOZO/Canon is not violating any rights you might have in that Content. You grant SOZO/Canon a non-exclusive, worldwide, perpetual, irrevocable, royalty-free, sublicensable (through multiple tiers) right to exercise the copyright, publicity, and database rights (but no other rights) you have in the Content, in any media, now known or not currently known, with respect to your Content with credits. You agree to allow SOZO/Canon to store or re-format your Content on SOZO/Canon and display your Content within the campaign in any way as SOZO/Canon chooses.